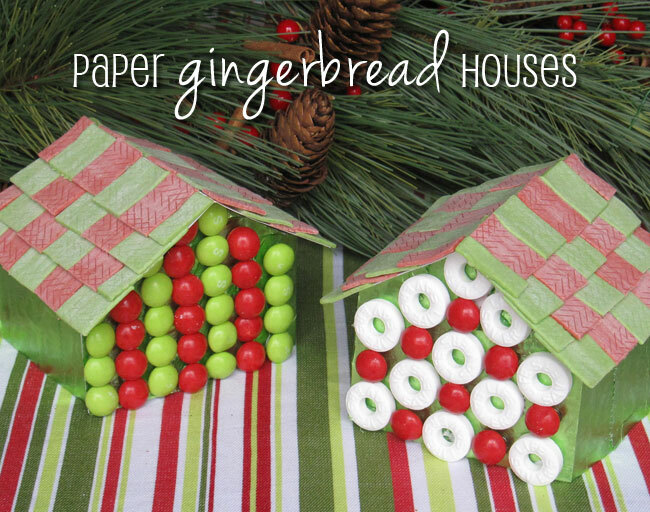 Paper gingerbread houses, and a free printable template! The inspiration behind this project are Amy Atlas and Wrigley, who issued a challenge to crafty peeps (like me, yay!) 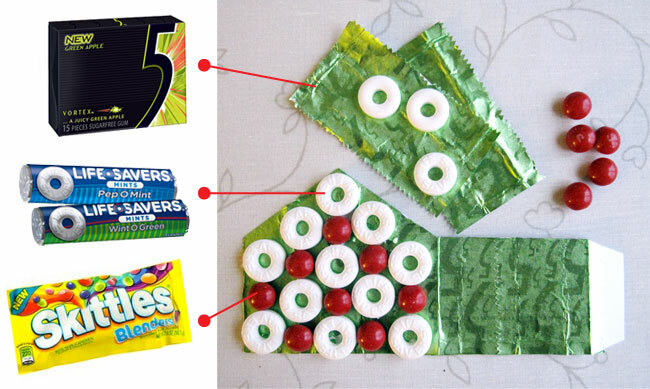 to see what entertaining and celebrating ideas they can come up with using Wrigley gum and candy. 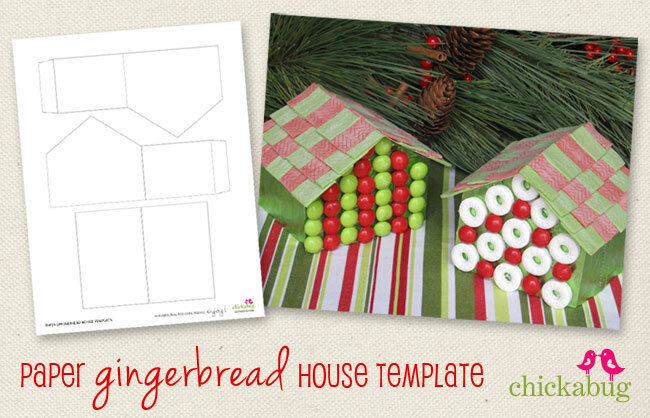 To make the houses, print the template onto regular printing paper and cut out each shape. Trace the shapes onto your very heavy cardstock or cardboard. Cut out each shape, then score and fold at the appropriate places. 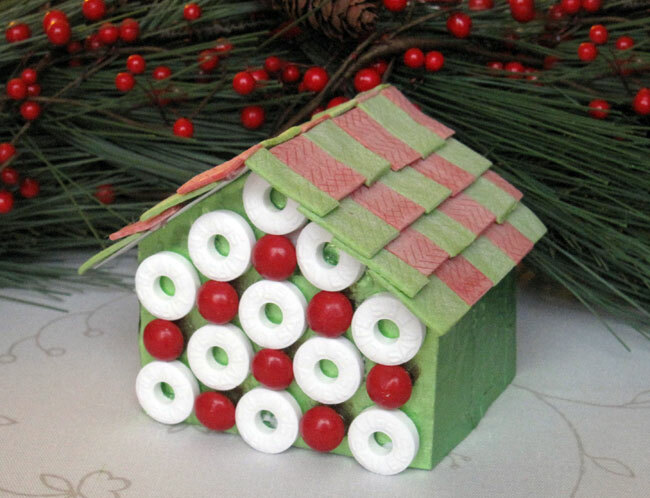 Use a glue stick and the wrappers from the Vortex gum to “wallpaper” the sides and back of the gingerbread house, leaving the tabs uncovered. Cut the excess off from the edges as shown. 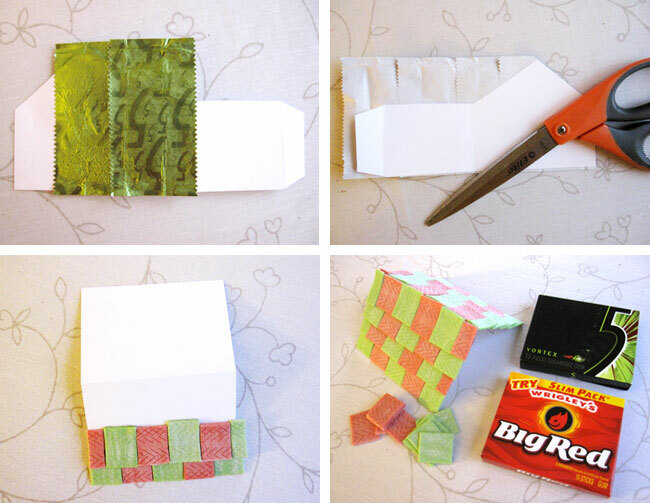 Cut pieces Big Red and Vortex gum into thirds and hot-glue them onto the roof in a shingle pattern. To finish the houses, hot glue the bottom half of the house together, attaching the tabs to the inside walls. Apply a thin layer of glue along the top edges of the base and set the roof in place. And you’re done!